Setting goals is the easy part. I say, “I want that life. These are the steps I will put in place to get to that target.” But the execution of the steps is a daily grind. And in my TheNext100 journal, I am actively writing my daily steps to get to the goal. Making goals is easy; actually accomplishing them is not so easy. Writing 15,000 words in a week = 2100 words per day on average. Not easy. Healthy meals are fun to plan but being satisfied with water when what I’m really craving is some soda, is not easy. It’s easy to plan to just a handful of chips but it’s hard to actually close the bag before I feel satisfied. Goal setting is easy. Anyone can do that! Goal getting, now that’s the challenge. So I plod on towards my goals. And I’m taking it day by day. This morning, I didn’t feel like going to the gym. I haven’t met up with my workout buddy for about 5 days and my exercise motivation was a little lacking. 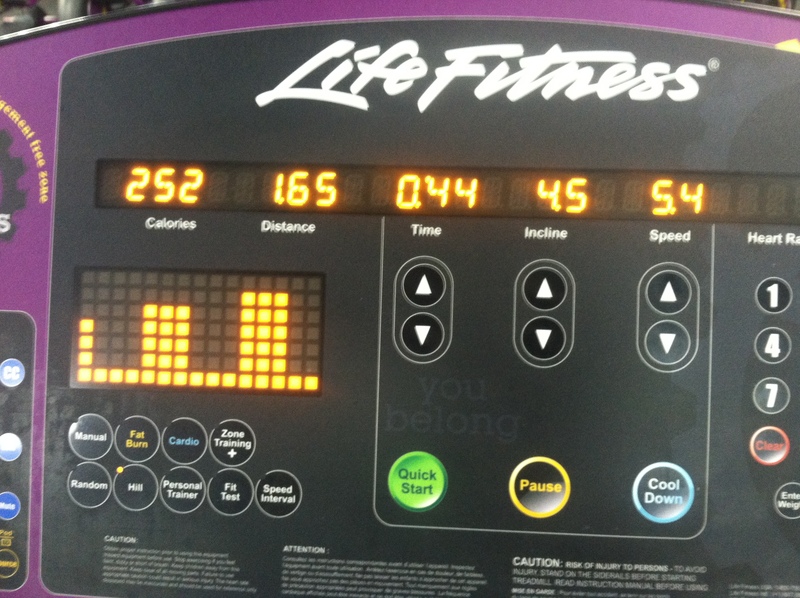 But I challenged myself to get there and even just walk on the treadmill for 20 minutes. That would be better than nothing, right? And then when I started walking, I realized I wanted to run. So I did! And now I’m happy. you’re not alone. Everyone has days when they’re not sure why they do what they do and they wonder why they don’t just stop. sometimes, if you just push through the feeling, you’ll feel better on the other side. It’ll all be worth it someday but it’s also worth it today because that sense of accomplishment you feel when you can check something off your list, is awesome. You deserve to feel that beaming sense of pride in yourself today! I hope that you, too, have a wonderful day filled with accomplishment. Yes! THIS is why I share my story. You’ve made my day. All the best with your goals and let me know how it goes. I’m rooting for you.